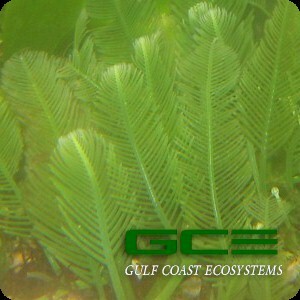 A very popular species of Caulerpa for use in the marine aquarium and refugium. It features long, erect, feather shaped blades that form a slightly rounded tip. A fast grower that needs to be pruned regularly to divide the cells. Depending on the environment, it can appear as slightly different forms, but the coloration is typically a light green shade. This species is sold as 1 pint.